I have a flower for you today. It's from the Wandering Jew plant. And yes, I had to Google because I wasn't sure that the name hadn't been changed due to political incorrectness. In some places it's called Wandering Dew. It's a weed around here, but we've had so much rain this summer that my weeding skills have been unable to overcome the weeds! 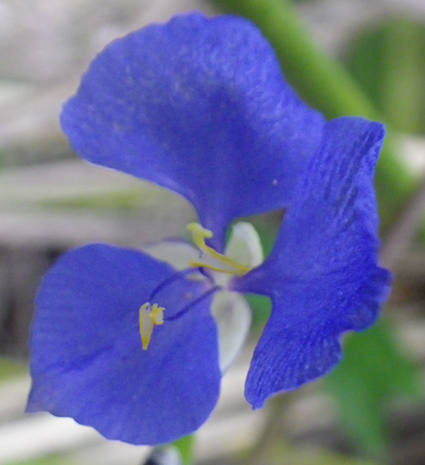 So, I have lots of this weed, but it does have a pretty, bright blue, flower.